When I started running it was never with the goal of running a marathon, a half maybe, but that is still a long way away. I’ve met a lot of supportive runners along the way but also a few that treat me as somehow inferior because I don’t run long distances. My race of choice is a 10 km and I enjoy that distance. It’s long enough to get the blood pumping and give the muscles a good workout without being so long that I get bored and am exhausted for the remainder of the day or even the next day. 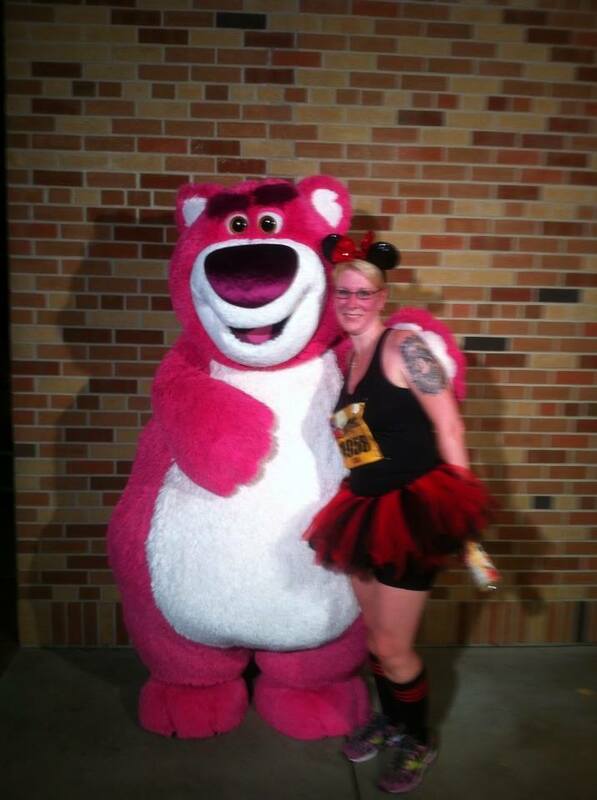 Case in point, my longest run to date was 10 miles at runDisney’s Tower of Terror race last October and it was so much fun there was no way I could get bored but it was longer than I was prepared for. I was so exhausted for 3 days afterwards that I didn’t get to see as much of Walt Disney World as I wanted to on that trip. I know if I really wanted to I could find the time to train for a marathon, but honestly I don’t want to find the time. It is a huge commitment that I am just not prepared to make. Why not? Well, I have kids at home that I like to spend time who are not as committed to running as I am and a husband with a bad knee that refuses to have surgery on it so I often train alone. My kids on occasion run with me and I enjoy their company but 5 km is about all I can get them to run and even that is a challenge some days. That is until a fun race is coming up. 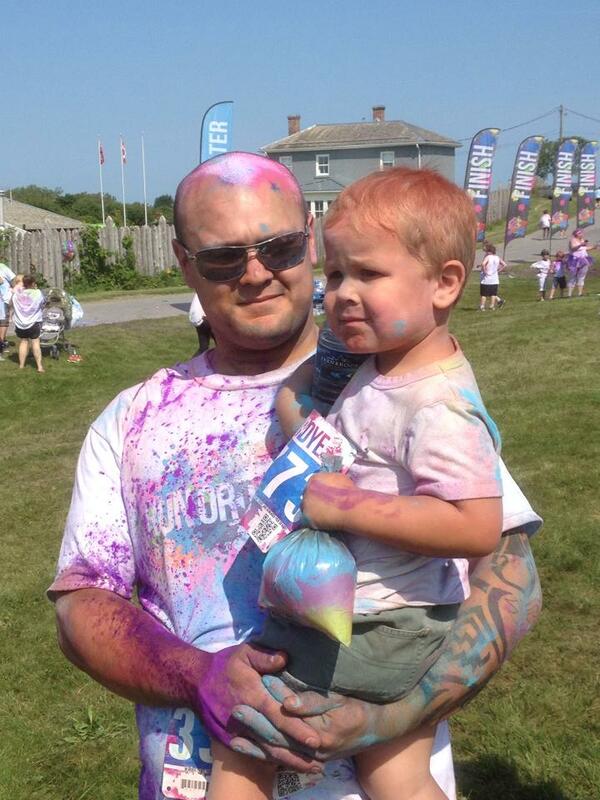 Enter races like Run or Dye where it’s more about the fun and less about the speed. While many runners refuse to enter these types of races I enjoy them because they give me a chance to run with my kids and have some fun. 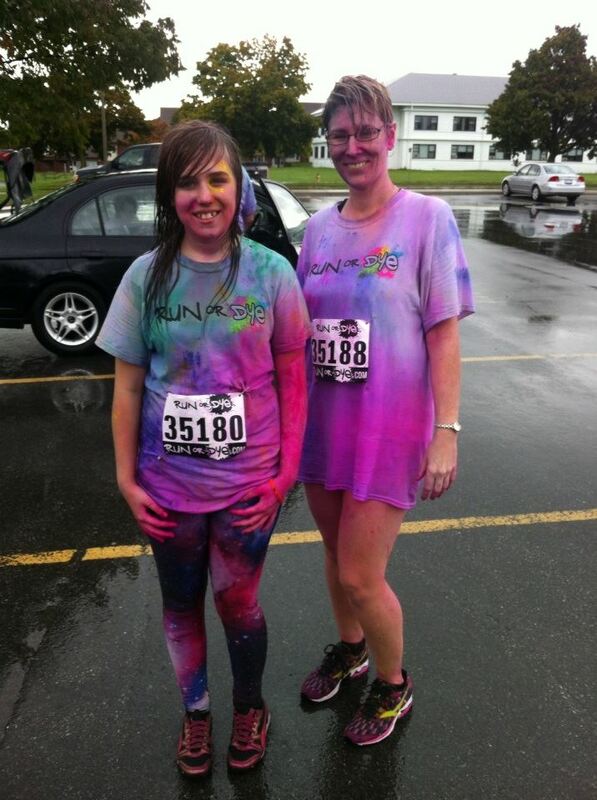 The first time I ran one of these races was with my daughter and it was a miserable, cold, rainy day but that didn’t dampen our spirits. We thoroughly enjoyed ourselves and our hair and bodies where dyed for days but just as important on that miserable day was we still got out there, got our exercise and did it together. It was so much fun we decided to do it again and this time my son and my daughter’s friend joined in the fun as well as my friends, Candice (who is expecting) and Rob, with their three children. This time the weather was much nicer and in fact warmer than I like to run in but it was still preferable to the prior year. I must admit (sorry Candice) that I was a little leery about running with a 3 year old but he was amazing and proves my point admirably that running is for all ages. MacArthur ran his little heart out until his legs just would not go any more. He made it about half way before he asked his dad to pick him up for a while. After a brief respite he was back at it with much less complaining than many others I heard on the track that day. Rob & MacArthur. MacArthur was such a trooper. Yes, the course was hilly; yes, there were people walking that slowed sections down; and yes there were no water stations along the route, but seriously 5 km is not an excessive distance to go without a water break and there was plenty when you reached the finish line. Not all races are the same just as not all racers are the same so take the time check out the race you want to enter, think about what you want out of the race and why you are doing it. This race was not fast by anyone’s standards but we were not expecting it to be with a pregnant woman, 6 kids (including a three year old) and a few people nursing injuries. Fast was not the point. The point of running for me is to get out there, get some exercise and have fun. If this happens, then the race was a success for me. 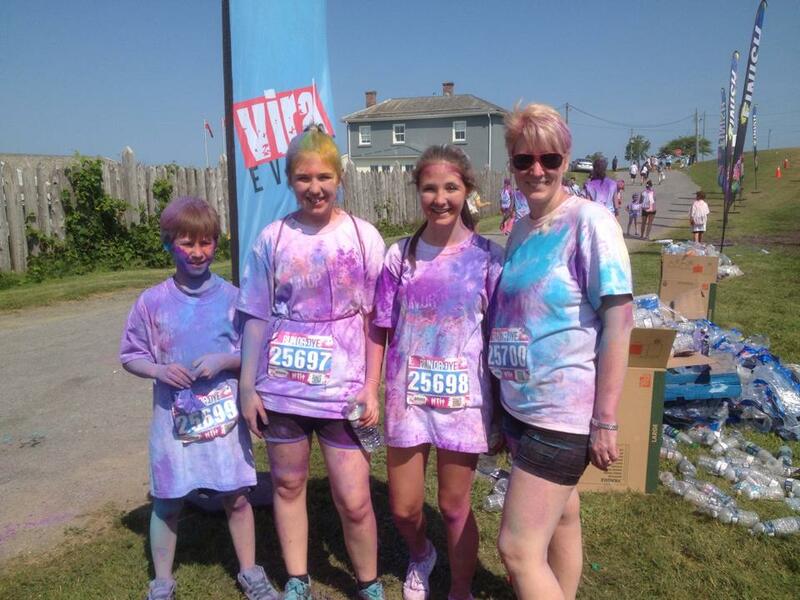 We all came home totally dyed with lots of great memories and had our exercise for the day. My son, daughter, her best friend and I. Will I ever run a marathon and be looked at as a true runner by some, not likely, but I don’t care. I am happy running my shorter (and more fun) races with family and friends and will continue to do so.